This is the big little book of over 100 quotes from more than a decade of Joe’s visits with the Angels. This is a book for everyone, just the quotes and without metaphysical commentary. It is a carry-anywhere, 4″ square book with introductions and reviews. These make great gifts. 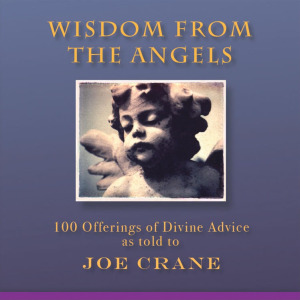 “Joe Crane’s Wisdom from the Angels is an inspiring, daily reminder for each of us on our path. Intriguing, thought provoking, and filled with brilliant insight. A must read! Visit Joe Crane’s website here. “I’ve been visited by angels for 15 years and they have had a lot to say. They can reveal profound information with just a phrase. Occasionally, one of these tidbits pops into my mind at just the right time. I got to thinking that these phrases could be of value to everyone. The angelic quotes in this book can help keep us on our spiritual path. When something is bothering me, I go to the quotes and find just what I need. Angels have been spoken of ever since stories have been told. People throughout the world attest to seeing angels. There are more stories of people seeing and getting messages today than any other time in history. There are more people who have seen an angel or had an angel touch their lives than you may think. I know you picked up this book for a reason and it is not by accident. Just like me, you want to know for sure if angels are real. Over 18 years ago I found the answer to my question. Yes, angels are real. What you don’t know is there have been angels working in your life for a long time. Angels have been there for you when you were helped by a stranger in a time of need. Angels have given you comfort in words of wisdom and you didn’t even know it. On rare occasions a revolutionary book comes along that changes everything. This is the breakthrough you have been waiting for. 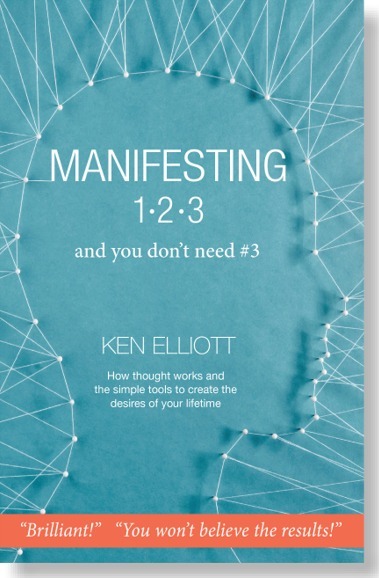 The simplicity and power of Manifesting 123 is breathtaking and readers are reporting wonderful and sometimes spectacular results. 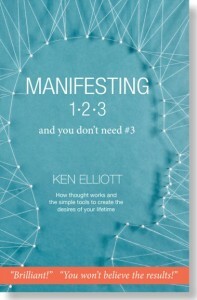 Manifesting 123 has re-invented manifesting with new and basic information you haven’t known before. This is the go-to manual for creating the life you desire. Manifesting 123 is unique because it clearly illustrates how our thoughts actually begin to take form on the other side and flow into our physical world. Ken reveals a number of first-hand experiences creating simple to complicated objects in thought that were viewed by others 2,400 miles away – in real time. No more guessing whether or not your intentions are creating the intended result. Ken clearly describes how your thoughts begin to build by taking form immediately. This changes everything.